Deseeding a pomegranate is one of those menial kitchen tasks I seemingly to procrastinate life by doing. 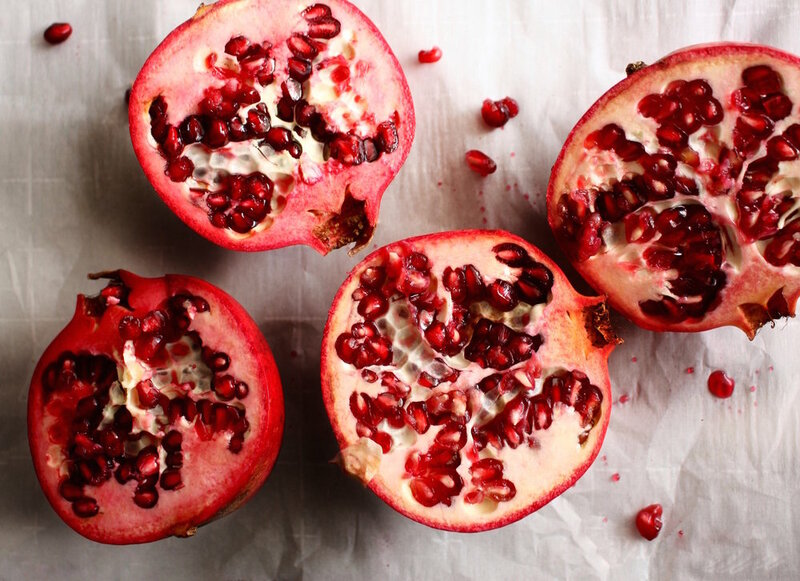 In all honesty, it's not difficult to deseed a pomegranate, just time-consuming. One of the benefits of deseeding your own is that you can buy organic pomegranate as most store-bought containers of seeds (also known as pomegranate arils) are conventional. The other and most obvious benefit is that it's cheaper. Buy organic pomegranates and slice in half. Fill a large bowl with cool water. You should be able to break the halves into smaller pieces with your hands, and from there you can start gently pushing the seeds out into the water. The white encasement will float while the seeds will sink. Once done, rinse the seeds and drain before storing the refrigerator.